Subscribe and get perks and great reads! Americans are into wearable technology, which includes our beloved fitness trackers. But not all fitness trackers are created equally and some wearables simply get tossed aside after a few weeks of use. With hundreds of wearable fitness trackers on the market, it’s hard to know which one will be the right one. Some people crave simplicity. Some users want all the data that they can get their hands on. Some want to most accurate device on the market. 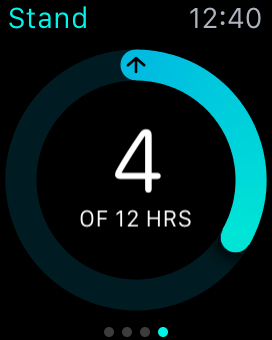 I’ve been using the Apple Watch for fitness tracking religiously for a little more than a month and I still put it on every morning. Here’s why. Finally. A heart rate monitor on your wrist. 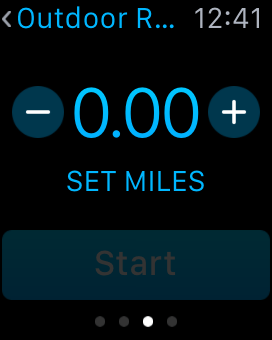 The Apple Watch uses light – or photoplethysmography – to track the flow of blood through your wrist. The addition of a heart rate monitor helps to more accurately track the calories one burns both while exercising and while doing the activities of daily living, like sitting, standing and walking. The heart rate tracking is really accurate, convenient and automatic. 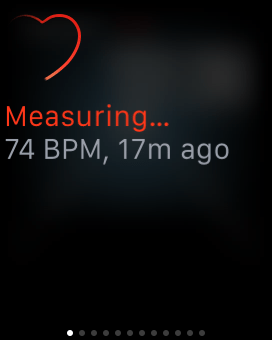 While I can check my heart rate by tapping a screen because of my pure fascination with the difference between my heart rate before and after my first cup of coffee, the watch also automatically checks my heart rate every 10 minutes. 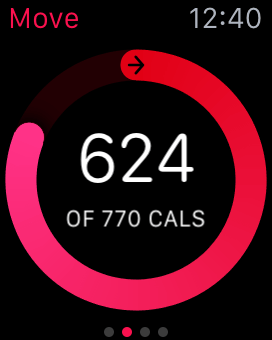 All of this heart rate data integrates with the Health app on the iPhone. 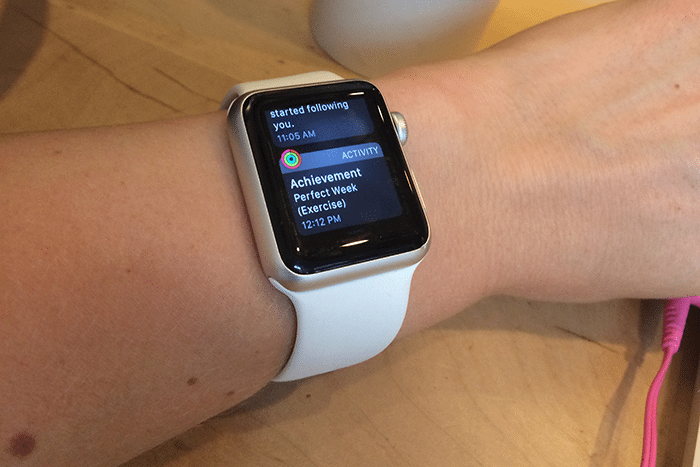 Activity tracking isn’t just to see how hard one is working at the gym. 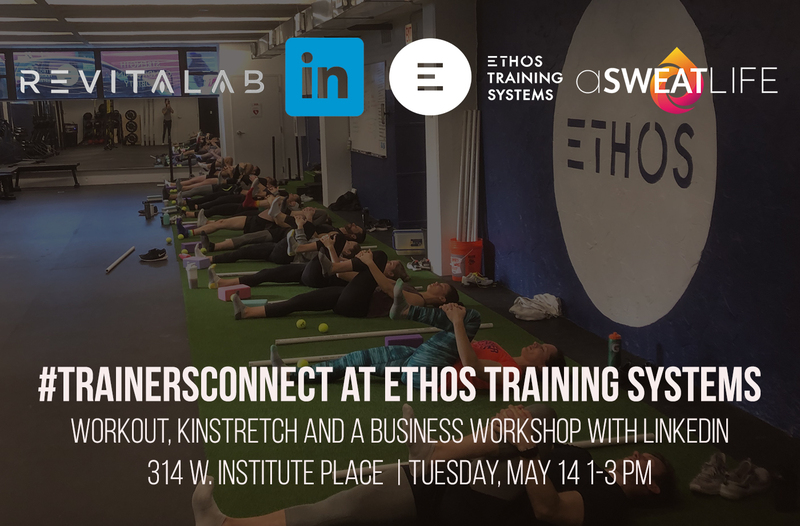 Tracking an entire day of activity – both in the gym and outside of it – helps to provide a complete picture of how active or sedentary the user’s lifestyle is. 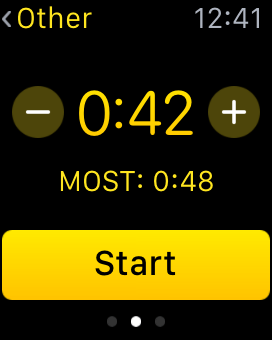 Worked into the activity tracking of the Apple Watch are three key data points: “Stand” shows how many times you’ve stood up to take a break from sitting, “Exercise” shows the time spent working out and “Move” shows how many calories are burned throughout the day both through exercise and activities of daily living. 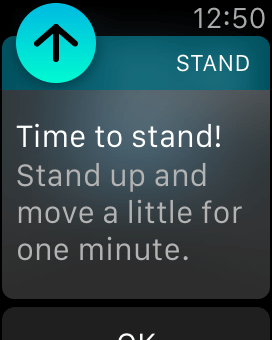 The “Stand” goal comes with more active reminders to help to serve the cause of getting users out of their chairs once an hour with a gentle vibration on the wrist and a pop-up message. All together, those three goals can help even the most desk-chained among us achieve a more active lifestyle. 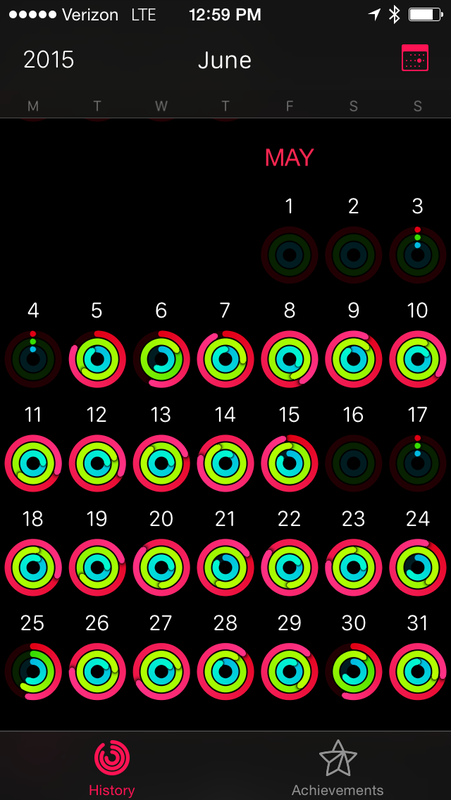 Each day’s data is pulled into the Activity app on the iPhone. 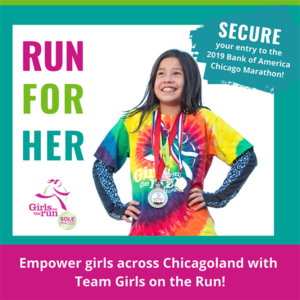 On the Apple Watch, the green exercise app allows users to track specific workouts ranging from indoor runs, indoor cycling, indoor rowing sessions, outdoor runs, outdoor bike rides and a category called “other,” which acts as a catch-all for everything else. I’ve used the “other” app a great deal for high intensity interval training, weight lifting and basically any other group fitness class. The reason why the same category works for all of those very different things is that users are able to set goals within the app based on the amount of time they want to spend (50 minute class, 50 minute goal) or the amount of calories they would like to burn. 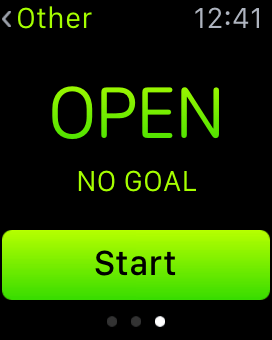 Users can use an “open goal,” which allows one to workout and see how many calories they burn in a specific amount of time. 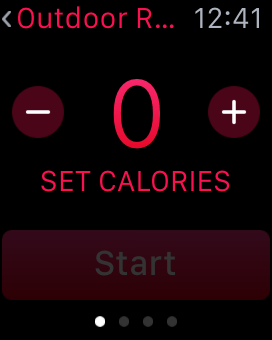 With that benchmark, users can start setting more specific calorie goals. 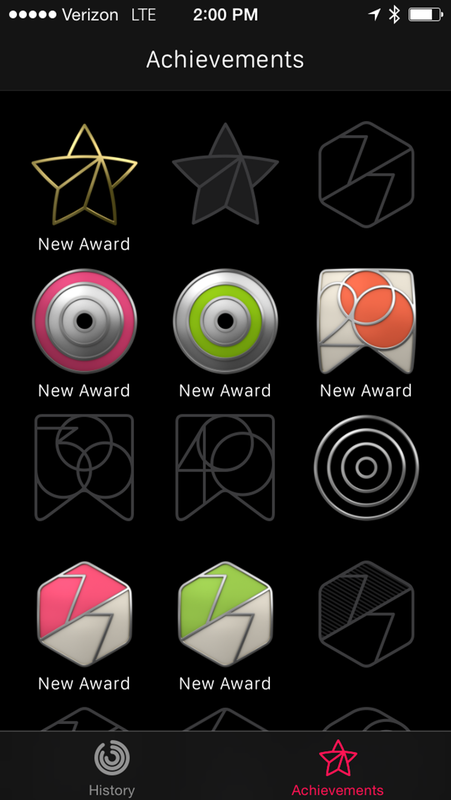 I’m a sucker for an achievement badge and Apple has done a great job of rewarding users for meeting activity goals. As users achieve one of the activity achievements, they’re alerted with a pop-up. 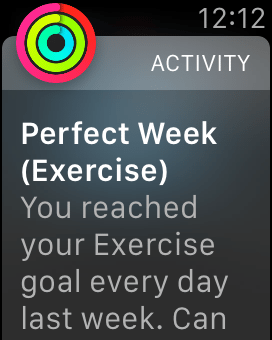 Achievements are given for things like, “first cycling workout,” “New record” for the most calories burned in a day and the “Perfect week” award for achieving one’s exercise goal every day for a week. 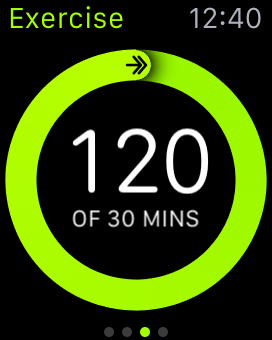 For posterity, badges live forever in the “Achievements” section in the Activity app on the iPhone. The Apple Watch integrates so easily with the iPhone so things that used to require rifling through a purse or crossing a room can now be done with a simple swipe and tap. 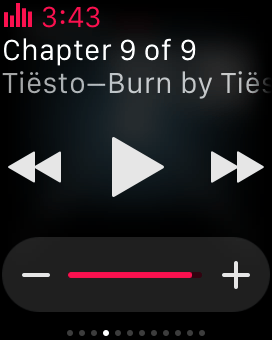 The most endearing to me is the availability of music controls on my wrist. Let me explain how this is applicable to fitness: as a fitness instructor, I love Spotify. I love it a lot. I make playlists, I share playlists and I use said playlists to motivate and inspire. Sometimes I don’t have time to make a new playlist and I hit “Start playlist radio” on one of my favorite mixes, which basically sends me into the Wild, Wild West of Spotify. The sound of Rick Ross’s voice sends shivers down my spine because I know whatever he’s going to say next will most definitely be offensive. 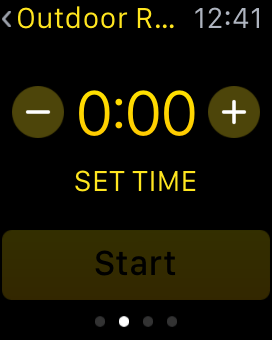 Now instead of panicking and hurdling some planking fitness enthusiasts, I’m able to swipe up and hit next. 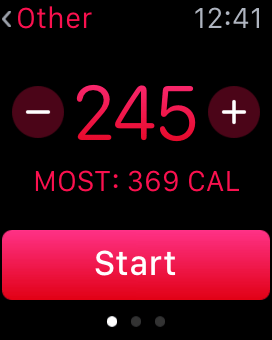 There’s a lot more than just fitness to the Apple Watch, but for my daily use, that’s all that really matters. 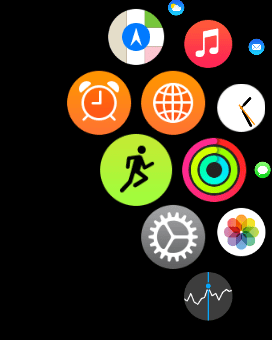 Trying out the Apple Watch? Love it? Hate it? Jeana Anderson Cohen is the founder and CEO of aSweatLife.com a destination for living your best life, with fitness as the catalyst. 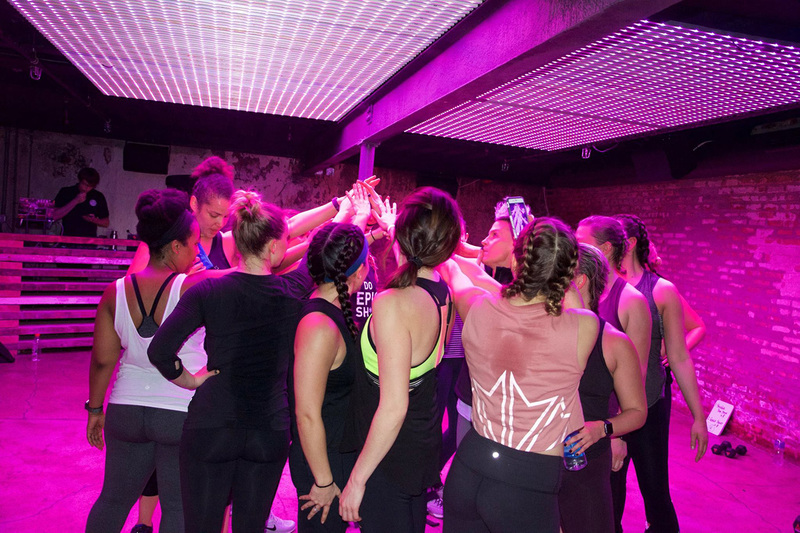 She's also the co-founder and head of strategy of the SweatWorking App. But before starting health-focused companies Jeana earned a degree in Journalism from the University of Wisconsin-Madison. For the first decade of her career, she created and executed social media strategies for brands. 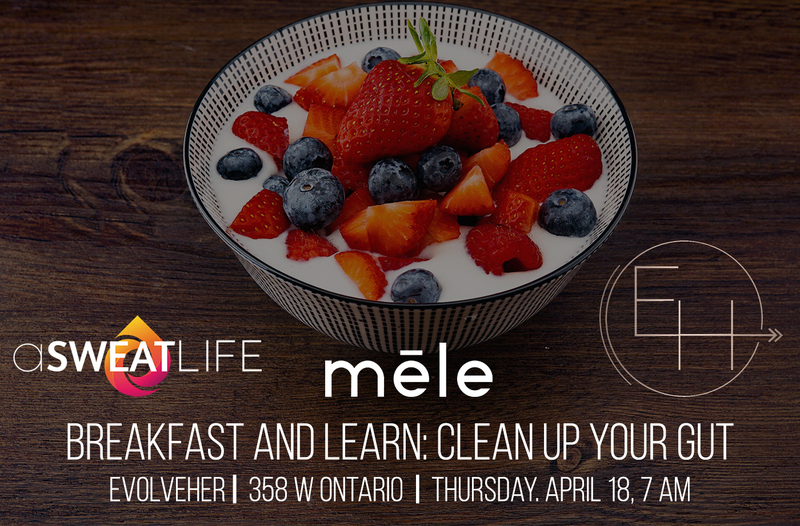 aSweatLife fuses her experience and her passion for wellness and SweatWorking was the natural evolution of that experience. 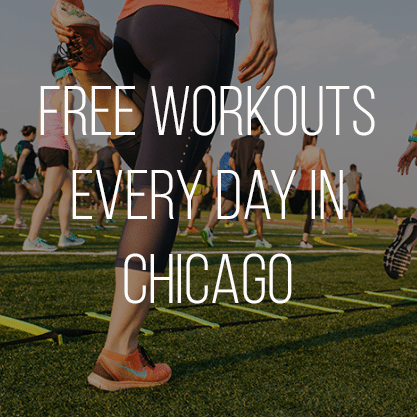 You can find Jeana leading the team at aSweatLife, hosting aSweatLife’s monthly #Sweatworking events, and - on the rare evening off - you may find her using her Personal Training certification to coach group fitness classes across Chicago. A Sweat Life © 2019 All Rights Reserved, Fab Fit Media, LLC.